The issue of short-term rentals (or “vacation rentals”) is becoming increasingly significant for homeowners associations (“HOAs”). The concerns and problems that arise from having revolving groups of vacation renters in HOAs are well-documented, such as the fact that vacation renters are often “less careful in using the common facilities because they are not concerned with the long-term consequences of abuse.” Watts v. Oak Shores Community Assn. (2015) 235 Cal.App.4th 466, 473. To avoid these problems, many HOAs have lease restrictions within their governing documents such as a restriction which prohibits the rental or leasing of a property for a period of less than thirty (30) days. Such a restriction was adopted in 2016 by the coastal community of Mandalay Shores Community Association (“Mandalay Shores”), together with a schedule of significant fines that may be imposed on the owners of the roughly 1,400 homes in Mandalay Shores who violate the short-term rental rule. Two owners filed suit against Mandalay Shores seeking an injunction to stay the enforcement of the short-term rental rule, contending that the rule violates the California Coastal Act (Pub. Resources Code Sec. 3000 et. seq) (the “Act”). The injunction was ultimately granted on appeal. The Court of Appeal noted that the Act was enacted to, among other things, “[m]aximize public access to and along the coast and maximize public recreational opportunities to the coastal zone consistent with sound resources conservation principles and constitutionally protected right of private property owners.” While Mandalay Shores did not erect a physical barrier to the beach, the Court believed that it erected a monetary barrier, which had the same effect. The Court was not persuaded by Mandalay Shores’ argument that the short-term rental rule was to curtail parking, noise and trash problems. In his opinion, Acting Presiding Justice Yegan stated that such problems are to be addressed by the city and Coastal Commission: “The decision to ban or regulate [short-term rentals] must be made by the City and Coastal Commission, not a homeowner’s association.” Thus, in his opinion, a HOA may not adopt rules affecting “the intensity of use or access to single family residences in a coastal zone.” To read the Court’s holding in Greenfield v. Mandalay Shores Community Association, click here. This case will have a profound effect on a HOA’s ability to adopt rules preventing short-term rentals in coastal communities. 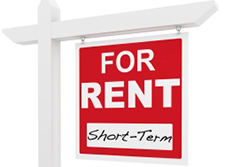 HOA attorneys and management professionals should be mindful of this case when receiving requests from coastal community clients to adopt/amend rules to include short-term rental restrictions. -Blog post authored by TLG Attorney, Matthew T, Plaxton, Esq. Recently, many residential common interest developments have experienced an influx in the number of short-term rentals within their community. This problem is exacerbated by the increased popularity of websites such as Airbnb and HomeAway. Although profitable, short-term rentals have a significant negative impact on community associations, such as increased damage to common area and violations of the Association’s governing documents. To address these concerns, many associations are amending their CC&Rs to include restrictions imposing a minimum lease period (e.g., thirty days). In a recent unpublished opinion, the California Court of Appeal upheld such a restriction as reasonable. In Ocean Windows Owners Association v. Spataro, the Court affirmed the decision of the trial court granting the Association’s petition to reduce the requisite approval necessary to amend their CC&Rs pursuant to Civil Code section 4275. The proposed amended CC&Rs included, among other things, a provision imposing a minimum lease term of “thirty (30) consecutive days in any one (1) calendar year….” A homeowner filed an objection to the petition stating that the record was void of any facts sufficient to support a conclusion that the amendments “were necessary for the good of the community.” The Court of Appeal rejected this argument for two reasons. Not arbitrary or capricious, rationally related to the protection, preservation and proper operation of the property and the purposes of the Association as set forth in its governing instruments, and is fair and non-discriminatory. 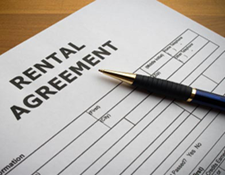 Using the appropriate standard, the Court concluded that the rental restriction was reasonable. The Court’s decision was predicated, in large part, on the declarations of the Association’s community manager and its general counsel. Both averred that short-term rentals had resulted in damage to the common area, increased costs and violations of the governing documents, and the inability or difficulty with obtaining financing due to the association’s appearance as a “condotel.” As such, the Court concluded that there was substantial evidence to support the conclusion that the rental restriction contained in the amended CC&Rs was reasonable (i.e., rationally related to the protection, preservation and operation of the community as a whole). Although unpublished, this case underscores the courts’ awareness of problems affecting communities with short-term rentals, and their willingness to assist associations in addressing the issue. HOA Boards that are dealing with these types of issues should consult with their HOA’s legal counsel for guidance and recommendations. On January 20, 2015, a tragic fire ripped through a condominium complex in the city of San Juan Capistrano, killing three, injuring six, and displacing eighty residents living in eight units. The decedents were three of seventeen individuals living in a four-bedroom condominium. In light of the deaths and their relation to the number of occupants living in the unit, efforts are now underway to examine state and local occupancy restrictions with an eye towards preventing an incident like this from occurring in the future. To that end, questions have surfaced with respect to an association’s ability to adopt and enforce state and local occupancy standards, as well as to promulgate operating rules regulating the number of occupants living within a unit. An association’s “operating rules” are regulations adopted by the board that apply “generally to the management and operation of the common interest development or the conduct of the business and affairs of the association.” (Civ. Code § 4340(a)) They relate to things such as the use of common area and separate interests, member discipline, and procedures for elections. (Civ. Code § 4355(a)(1)-(7)) In order to be valid and enforceable, the operating rule must meet several requirements: the rule must be (1) in writing, (2) within the authority of the Board of Directors conferred by law or the governing documents, (3) not in conflict with governing law and the governing documents, (4) adopted in good faith and in compliance with the procedural requirements set forth in Civil Code section 4360, and (5) reasonable. (Civ. Code § 4350) Accordingly, presuming that an occupancy rule is adopted by an association’s board of directors pursuant to the powers granted to it under the governing documents, the primary focus is whether the occupancy rule conflicts with governing law (i.e., California law). HOA Dealing with Unruly Tenants? Asked – A renter/tenant within our community is continually engaging in improper conduct, violating the governing documents, and causing nuisances that are impacting surrounding homeowners. 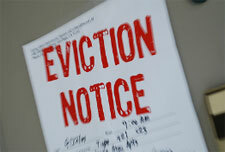 Is there anything the HOA can do to evict the tenant? What steps can the Board of Directors take to prevent situations like this from happening in the future? Answered – Improper conduct of tenants is a problematic situation commonly faced by homeowners associations (“HOAs”). 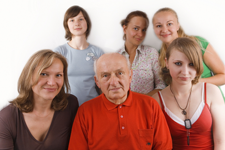 Tenants often are not as involved in the affairs of the HOA as that of the HOA’s members, nor do tenants feel the same sense of investment in the community. Additionally, members who rent out their homes typically prioritize rental income over the concerns of neighboring homeowners. The degree to which a HOA may take action directly against an unruly tenant will be principally governed by the HOA’s governing documents–specifically, the HOA’s recorded declaration of covenants, conditions and restrictions (a.k.a. “CC&Rs”). The restrictions in the CC&Rs are “equitable servitudes” that are enforceable against the owners of the “separate interests” within the HOA (the HOA’s members). Civ. Code § 5975. 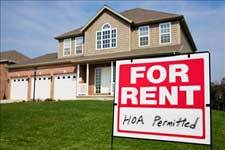 CC&Rs may contain provisions requiring tenants to comply with the HOA’s governing documents. However, those provisions essentially confer obligations upon the members to control the conduct of their respective tenants. Therefore, any remedies available to the HOA in response to tenant violations or nuisance activities must generally be pursued through action against the tenant’s landlord (the HOA member), not the tenant. However, there are ways in which a HOA may broaden its ability to take action directly against a tenant. For example, a HOA can amend its CC&Rs to require any leases between a member and a third-party tenant to contain language which: (1) requires the tenant to comply with the governing documents, (2) grants the HOA the authority to take action directly against the tenant in response to violations, and (3) holds the landlord-member responsible for the HOA’s attorneys’ fees and costs incurred in taking such action. Such language would make the HOA a “third-party beneficiary” under the lease with the contractual right to enforce its terms through an eviction action or otherwise. Such language will also motivate members seeking to rent out their homes to secure higher-quality tenants at the outset. In the absence of such language, the HOA should take formal action directly against the tenant’s landlord (the HOA member). Faced with the threat of fines and costly legal action, the member will likely realize that his/her financial interests are better served through securing a different tenant. A HOA dealing with unruly tenants should therefore seek the assistance of its legal counsel to determine the best course of action. The ability of California homeowners associations (“HOAs”) to adopt and enforce restrictions on the renting of units has been limited by changes in the law over the past couple of years. Those changes have purported to provide greater protections for homeowners seeking to rent out their units to third parties. HOAs have therefore been required to modify their approach to the enforcement of rent restrictions that may be contained in their governing documents, including the adoption of additional rent restrictions binding only on future homeowners. However, a recent unpublished Appellate Court decision confirms the ability of a HOA to enforce rent restrictions adopted decades in the past that are intended to address the unique concerns and characteristics of the HOA’s development. 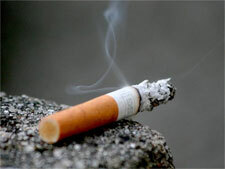 The problems posed by second-hand smoke have become a burning issue for California homeowners associations (“HOAs”), expecially condominium developments. A HOA typically does have the authority to adopt operating rules that prohibit smoking in common areas and exclusive use common areas; however, those rules may be insufficient to address problems posed by second-hand smoke emanating from inside an owner’s unit. Prohibiting that type of activity generally requires language to that effect contained in the HOA’s recorded CC&Rs. Where there is no such language, HOAs often refuse to get involved and opt to treat those situations as a “neighbor-to-neighbor” disputes. However, we have written before about how a HOA may have an obligation to enforce the nuisance provisions contained in its CC&Rs to address problems posed by smoking within units. An Orange County jury recently affirmed this fact in the first ruling of its kind in California. The jury in Chauncey v. Bella Palermo Homeowners’ Association, et al., OCSC Case No. 30-2011-00461681, found the defendants HOA and its management company negligent and also found the HOA in breach of its CC&Rs for failing to enforce its nuisance provision protecting the plaintiffs’ rights to their “quiet enjoyment” of their unit. The jury held the HOA liable for doing nothing to abate the alleged nuisance resulting from the second-hand smoke, despite the fact that the CC&Rs contained no provision specifically prohibiting smoking within the units. More and more municipalities are adopting “no-smoking” ordinances within multi-dwelling residential units. However, where there are no such ordinances, or any similar restrictions contained in a HOA’s recorded CC&Rs, a HOA may be still be obligated to enforce its nuisance provisions to address problems posed by second-hand smoke emanating from the interior of a unit. Where the problems persist, a HOA should consult with its legal counsel and also consider a formal amendment to its CC&Rs to prohibit smoking throughout the entire development. 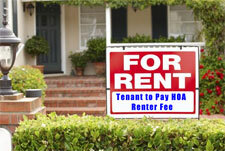 Can a HOA Member Inspect HOA Lease Agreements? Asked – As a HOA member, do I have the right to see a copy of a lease agreement pertaining to a home that was acquired by my HOA through foreclosure of an assessment lien? Answered – Yes, you may request to see a copy of the lease agreement. Under Civil Code §1365.2(a)(1)(D),a HOA member is entitled to inspect certain “Association records” for any “proper purpose reasonably related” to her interests as a member of the Association. “Association records” include “[e]xecuted contracts not otherwise privileged under law.” 1365.2(a)(1)(D). The lease agreement may, however, include confidential information such as social security numbers. The HOA Board of Directors and/or management should ensure that such confidential information is adequately redacted from the lease agreement prior to providing it to a member for inspection. A HOA that has questions or concerns regarding the disclosure of HOA lease agreements and the information contained therein should consult with the HOA’s legal counsel. HOA Prohibiting Single Owners from Renting Out Multiple Units? Asked – Can the Board amend the HOA’s CC&Rs to limit a homeowner who owns multiple units from renting more than one unit unless they live within the HOA? Answered – Yes. Provided that the requisite procedures are followed and membership approval is obtained, the Board of Directors does have the authority to amend your HOA’s CC&Rs to include such a rental prohibition. However, because the amendment serves to effectively prohibit a homeowner’s ability to rent out a unit (as compared to a less-severe, reasonable restriction on rentals), the California Civil Code limits the degree to which current homeowners would be bound by the prohibition. Senate Bill 150 added Section 1360.2 to the California Civil Code to insulate certain homeowners from any “provision in a governing document or an amendment to a governing document that prohibits the rental or leasing of any of the separate interests” that was adopted by the HOA on or after January 1, 2012. The only homeowners who may be bound by such rental prohibitions are those who bought their homes after the prohibition had already been adopted and in effect, as well as those who consent to being bound by it. In your situation, an interesting question becomes how would the Civil Code treat enforcement of such a prohibition against a particular homeowner who owned one unit within the HOA before the prohibition was adopted (“Unit A”), and then later, after the prohibition is adopted, purchases another unit in the HOA (“Unit B”)? The language of Section 1360.2 seems to suggest that the rental prohibition would indeed be valid and enforceable against Unit B. However, a thorough assessment of the facts at issue as they relate to the legislative intent behind Section 1360.2 would be necessary to make a more complete determination. If your Homeowners Association is contemplating the adoption of a new provision to restrict or prohibit rentals, careful consideration must be given to how the Civil Code’s limitations will impact the enforcement of the new provision and whether those limitations will frustrate the homeowners’ goals in adopting it. Consulting with your Homeowners Association attorney will assist in crafting a provision that serves the interests of the homeowners while also preventing costly legal challenges to its enforcement. To submit questions to the HOA lawyers at Tinnelly Law Group, click here.